Any one tried one of these? As a solution to getting the GPS a bit closer so as to see small text sizes? Re: Any one tried one of these? Looks neat, but I'm a bit puzzled about which bit they are selling. 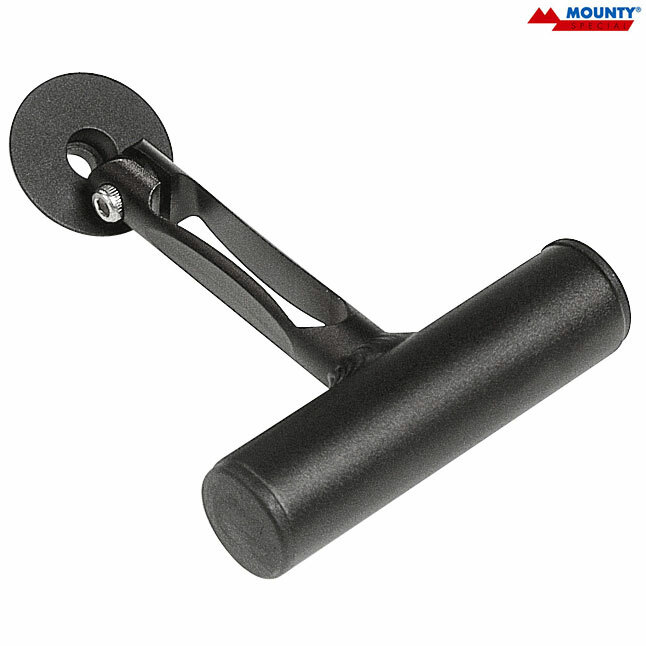 What we want is the T shaped riser with some means of clamping under the top cap, but the bit with the Mounty logo on it is the horizontal stem section which clamps the handlebars. So, do you have to have that bit as well in order to get the T shaped riser - are the two bits integral? BTW I couldn't get the Garmin Etrex mount to fit on my current stem as among other things there wasn't enough space to operate the release lever under the mount, so it's cluttering up my bars instead. They are just selling the stem cap with the bar thingy. You don't get a stem with it. my thoughts exactly - hence the question as to whether any one had tried one? I had my Etrex Legend on one of those - it was ok until I hit a pothole on a rainy night and the jolt bent it a bit. I agree with Frankie about the possible weakness of the pivot on the Mounty. I don't think it is intended to take anything heavier than the computer shown. I have a Minoura as well but I didn't use it for long before I got fed up with it. Be careful with the Swing grip. The whole weight of the bar and contents is on a small tab that in my experience has serious stress issues and frequently breaks.